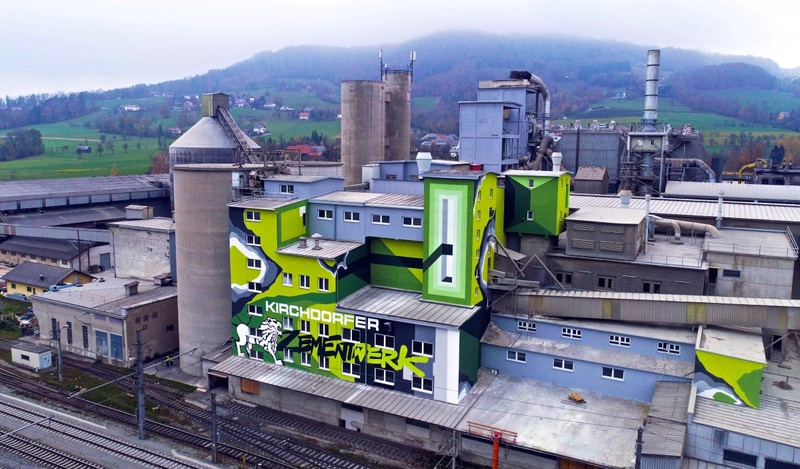 “A cement plant doesn’t necessarily have to be a grey and dusty affair …” – at least if you ask Erich Frommwald, CEO of the Kirchdorfer Group. 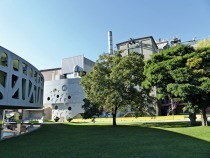 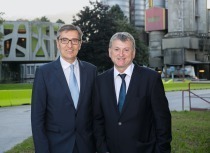 After a number of innovative measures regarding environmental sustainability and the reduction of dust and other emissions, the 130th anniversary year saw a general renovation of the cement plant. 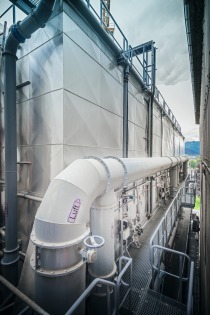 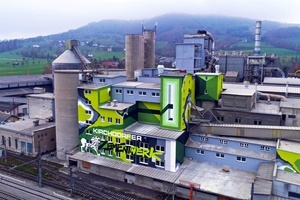 Being the “heart” of the internationally active Kirchdorfer Group, the cement plant’s widely visible face-lift is also an expression of the group’s innovative spirit – and with it, the traditional family-owned company sets a unique and prominent visual mark for decades to come in the Upper Austrian Kremstal region. 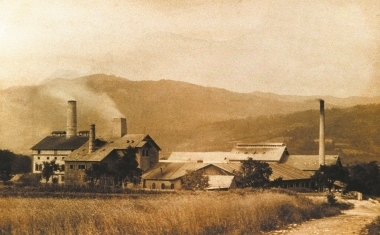 Carrying forward the pioneering spirit of the founding families over many generations, Kirchdorf Cement Plant – with it is 125 strong workforce – is practically always in motion and looking out for new and innovative products and solutions. 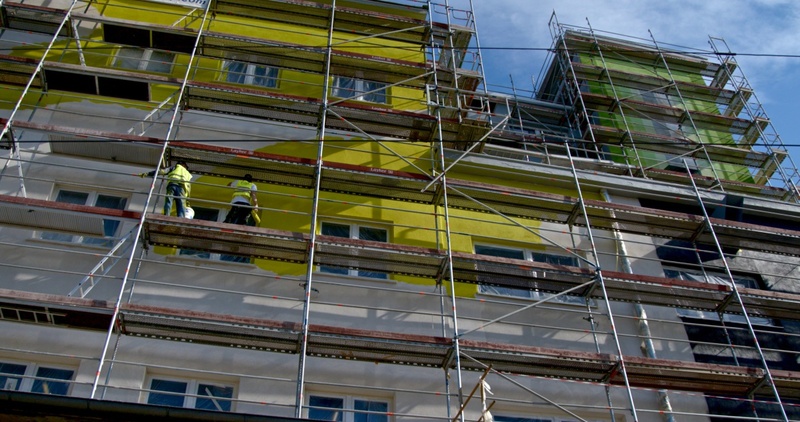 In order to make this dynamism visible to the outside observer and passers-by, the plant management under the direction of Matthias Pfützner awarded the Vienna-based “Concrete” agency with the redesign of a 1100 m2 facade surface area right next to Kirchdorf railway station. 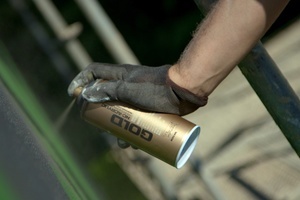 With the resulting and widely visible graffiti artwork, a true “landmark” object has been created. 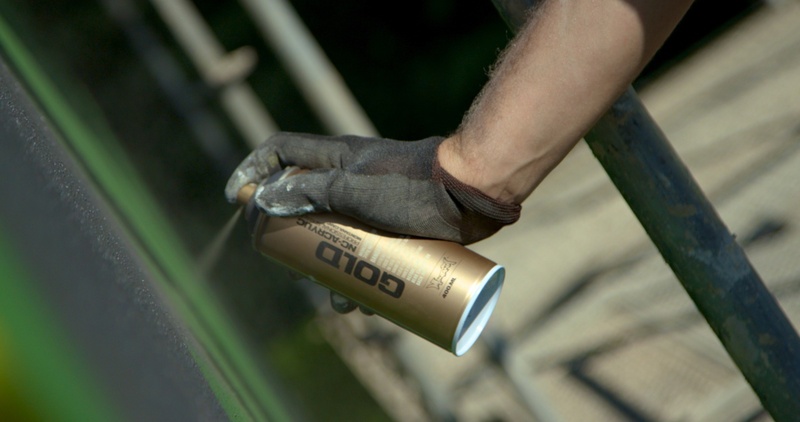 “Since the graffiti artwork is visible not only to the inhabitants and guests of Kirchdorf, but also to those passing by in the trains, we took great care to create a high recognition factor for the cement plant in Kirchdorf. 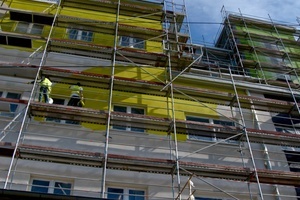 Therefore, we decided to feature the green corporate identity and the lion very prominently in our artwork”, explains Paul Hoffman (Art Director at Concrete) as to the approach of the renovation, which was not only an artistic challenge for all participants, but also a logistical challenge in need of precise planning.